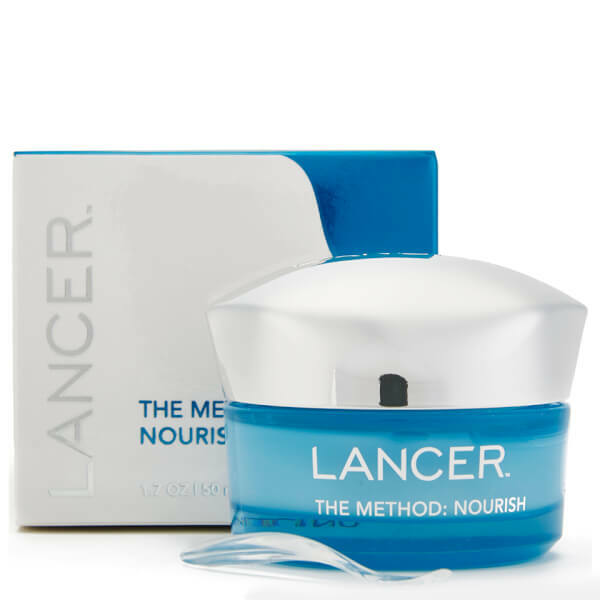 Experience ultimate hydration with Lancer Skincare's The Method: Nourish Moisturiser, an anti-ageing moisturiser that utilises a complex to enhance the diffusion of oxygen and enrich the skin. Deeply hydrating, the treatment enhances the skin's ability to retain moisture for a healthy, youthful glow. 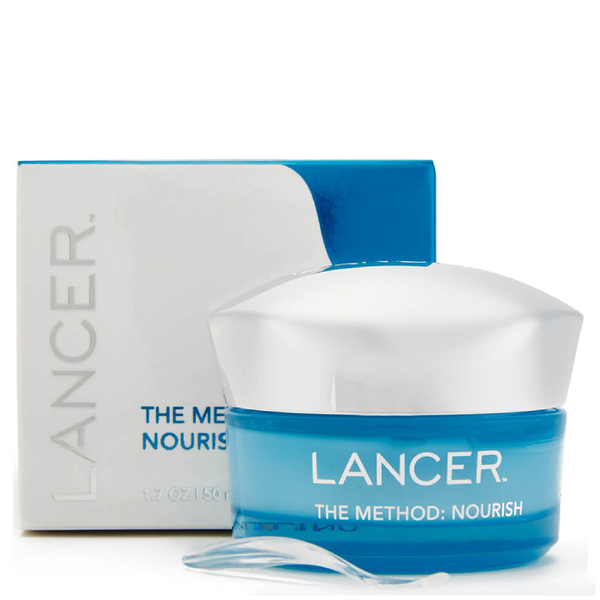 Its blend of beneficial peptides expertly decrease wrinkle appearance so skin looks smooth, supple and healthy. Expect nourished skin with renewed radiance. 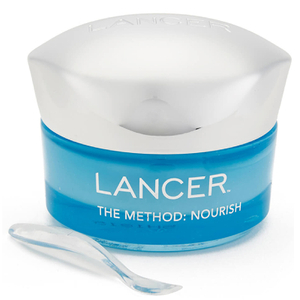 Apply a small amount to face and neck, including the eye area, twice a day after cleansing. Water (Aqua), Caprylic/Capric Triglyceride, Glycerin, C12-15 Alkyl Benzoate, Dimethicone, Butyrospermum Parkii (Shea) Butter, Squalane, Cetyl Alcohol, Glyceryl Stearate, Peg-100 Stearate, Stearic Acid, Dimethicone Crosspolymer, Cetyl Phosphate, Vitis Vinifera (Grape) Juice Extract, Tropaeolum Majus Extract, Persea Gratissima (Avocado) Oil, Olea Europaea (Olive) Fruit Oil, Hydrolyzed Rice Protein, Hexapeptide-48 Hcl, Dipotassium Glycyrrhizate, Sodium Hyaluronate Crosspolymer, Phytosterols, Raspberry Seed Oil/Tocopheryl Succinate Aminopropanediol Esters,Polyglyceryl-4 Diisostearate/Polyhydroxystearate/Sebacate, Carbomer, Ethylhexyl Stearate, Disodium Edta, Sodium Isostearate, Aminomethyl Propanol, Propanediol, Caprylyl Glycol, Chlorphenesin, Ethylhexylglycerin, Phenoxyethanol, Pentylene Glycol, Fragrance (Parfum), Limonene.